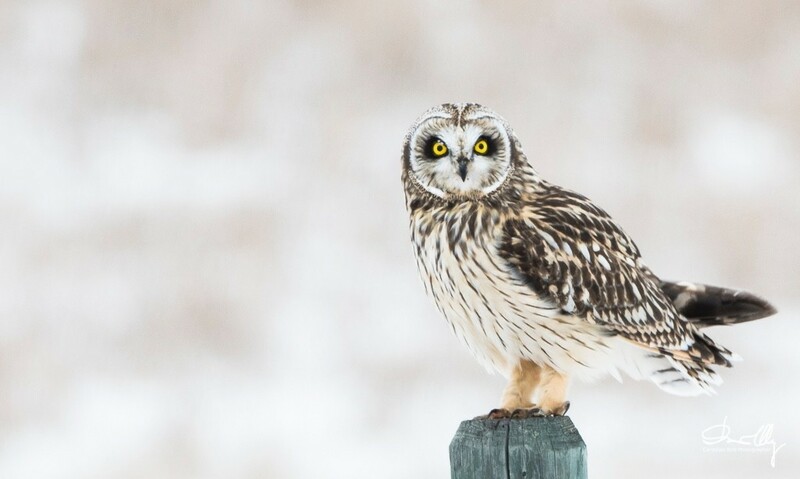 One of my favourite owls, the Short-eared Owl. 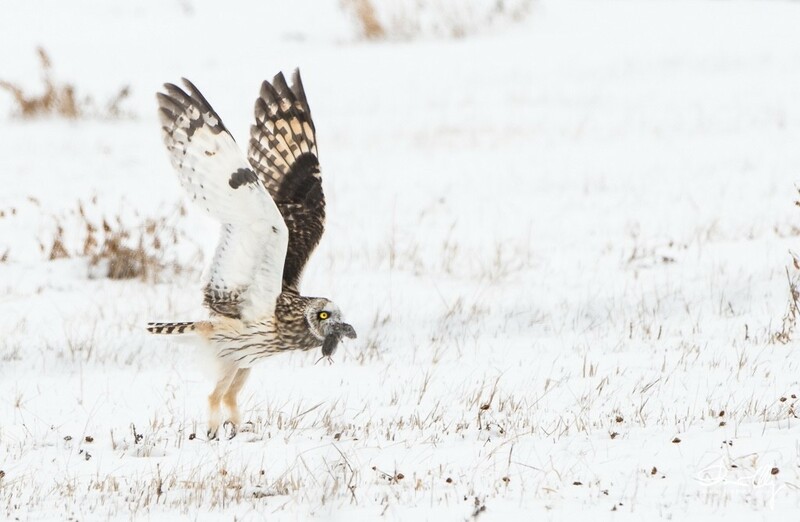 The Short-eared Owl is not very common. 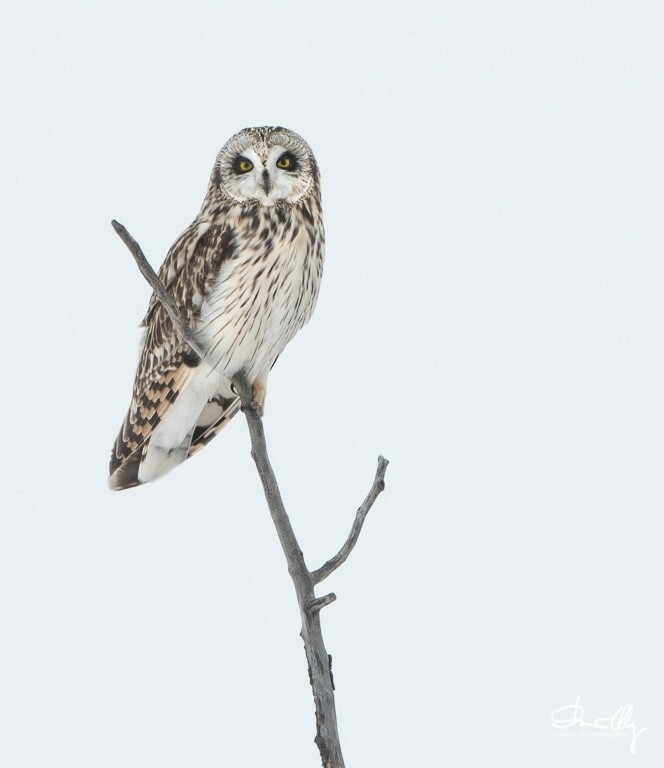 Sometimes I don't see this owl for a couple of years. I have now discovered a small area where they seem to hang around. The two photos to the right were the photos I have been waiting for, for a long time. I have seen the owl hunt and grab a Vole before but never in the right place. This time, I was in the right place at the right time. The light was not that good, so I had to had a +2 EV.